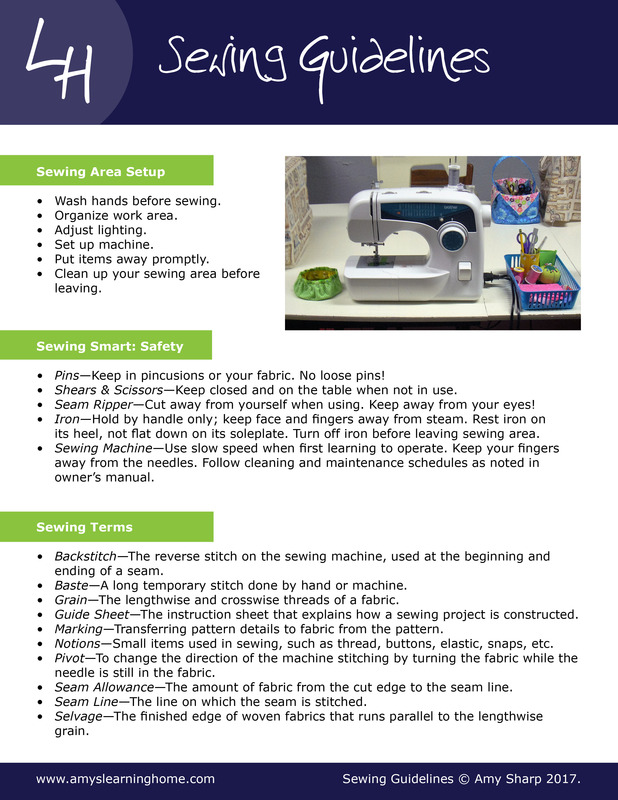 Printable Basic Sewing Guidelines and Terms – a helpful reference/checklist for both teacher and student. Clean up your sewing area after each session. 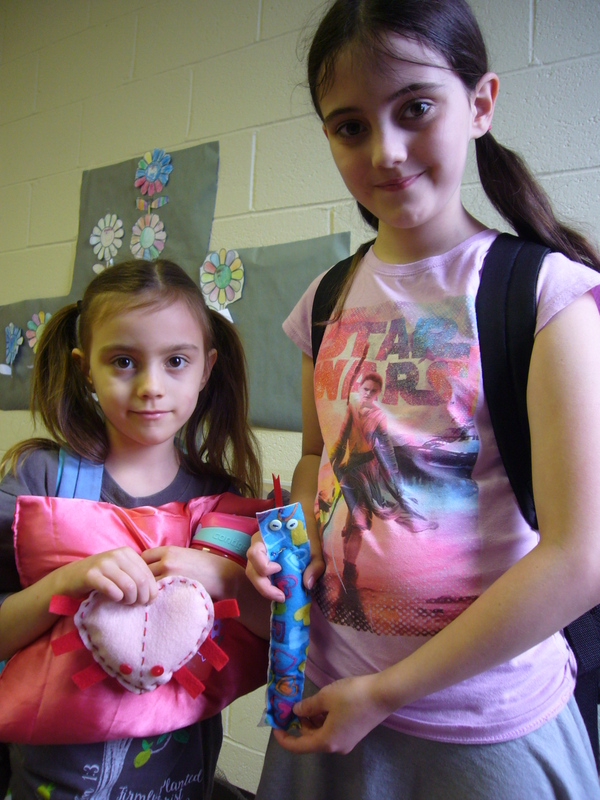 Pins – Keep in pincushion or in your fabric – No loose pins! Needles – Keep in your needle book or in your project. Shears and scissors – Keep closed and on the table when not in use. Seam ripper– Cut away from yourself when using – keep away from your eyes! Iron – Hold by handle only; keep face and fingers away from steam. Rest iron on its heel, not flat down on its sole plate. Turn off iron when you leave the sewing area. 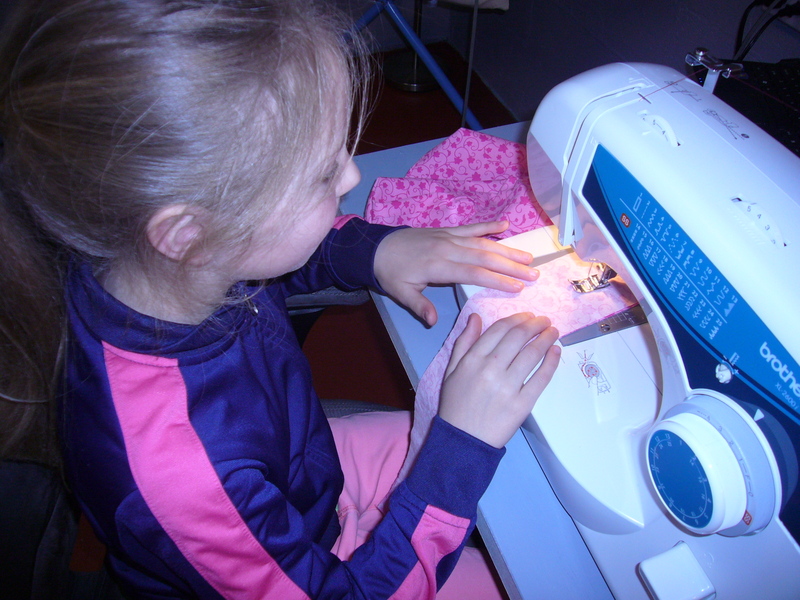 Sewing Machine -Use slow speed when first learning to operate. Keep your fingers away from the needle. Follow cleaning and maintenance schedules as noted in owner’s manual. Back stitch- the reverse stitch on the sewing machine used at the beginning and ending of a seam to secure it. Baste – a long temporary stitch done by hand or machine. Grain – the lengthwise and crosswise threads of a fabric. 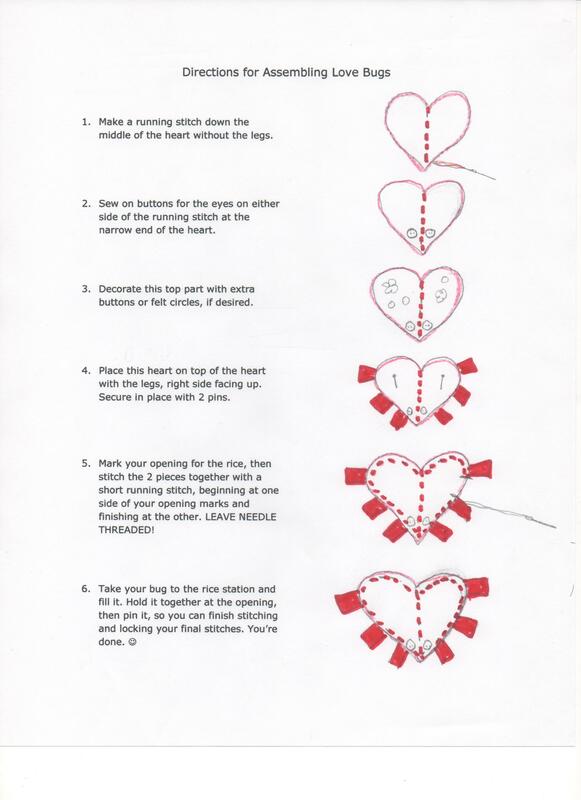 Guide sheet – the instruction sheet that explains how a sewing project is constructed. 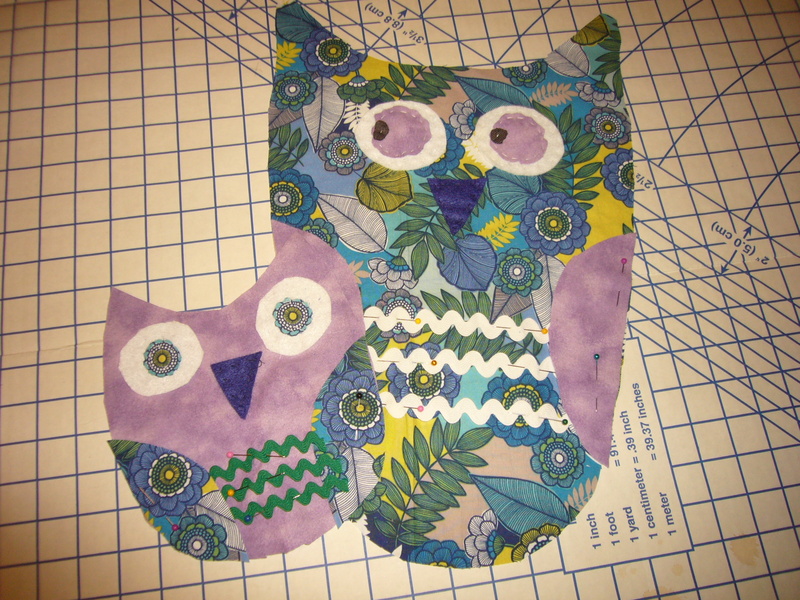 Marking – transferring pattern details to fabric from the pattern pieces. 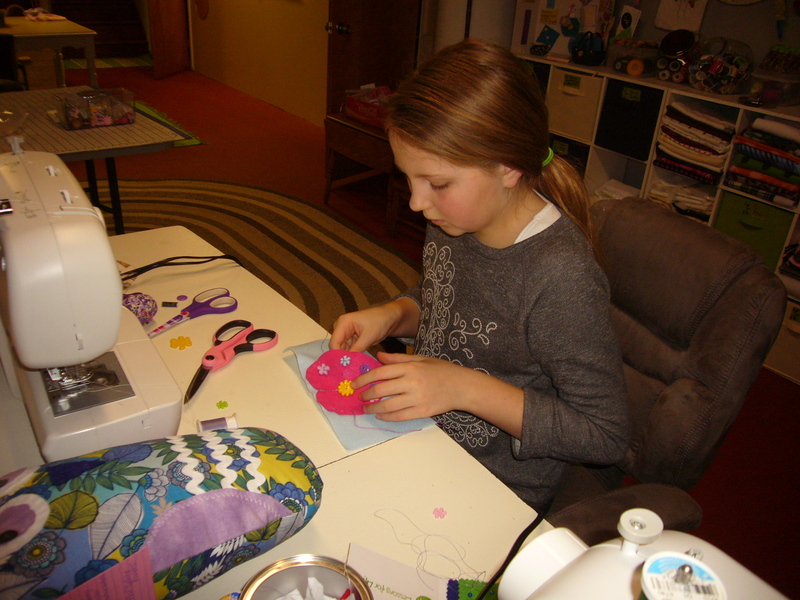 Notions – small items used in sewing, such as thread, buttons, elastic, snaps, etc. Pivot – to change the direction of the machine stitching by turning the fabric while the needle is still in the fabric. Seam allowance – the amount of fabric from the cut edge to the seam line. Seam line – the line on which the seam is stitched. Selvage – the finished edge of woven fabrics that runs parallel to the lengthwise grain. 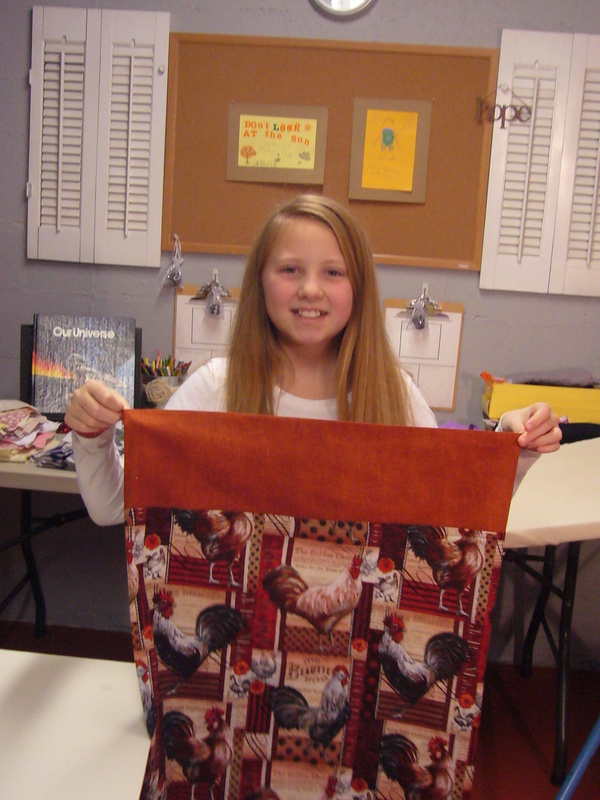 One of the pillowcases she made for her brothers for Christmas. 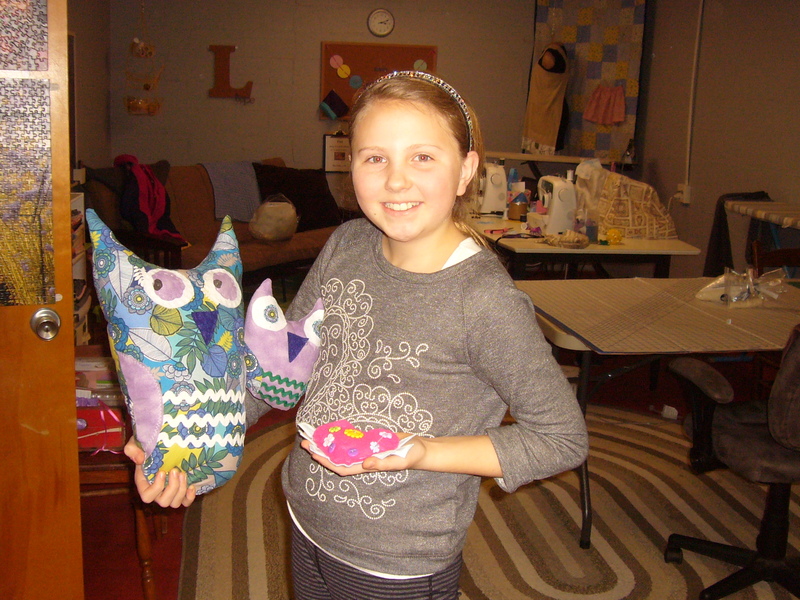 E was one of Learning Home’s first sewing students. We worked on Christmas gifts for her family in 2015 and then birthday and Valentine presents in early 2016. 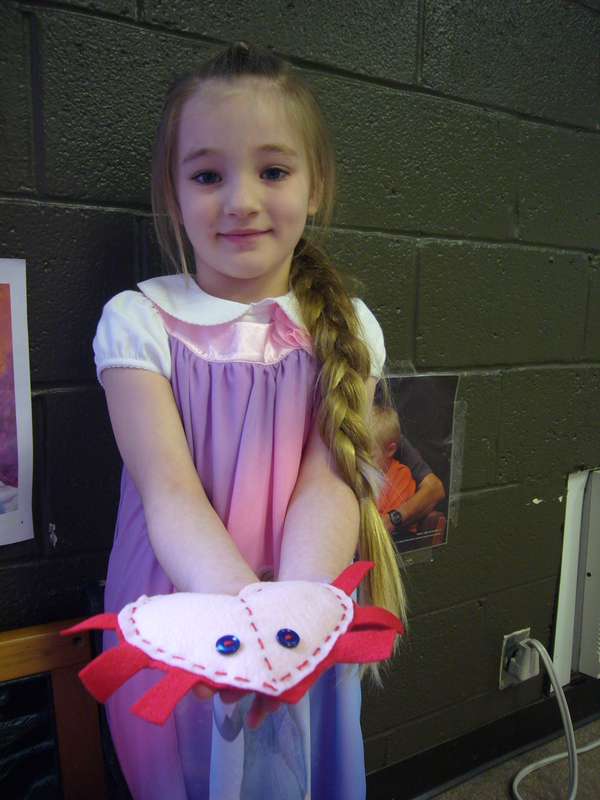 We enjoyed scrolling through dozens of images of hand crafted owls, and then set out to create our own owl patterns. She made the large one and I made the baby. “They’re sooo cute!” was our go-to response for each detail added to our little friends. 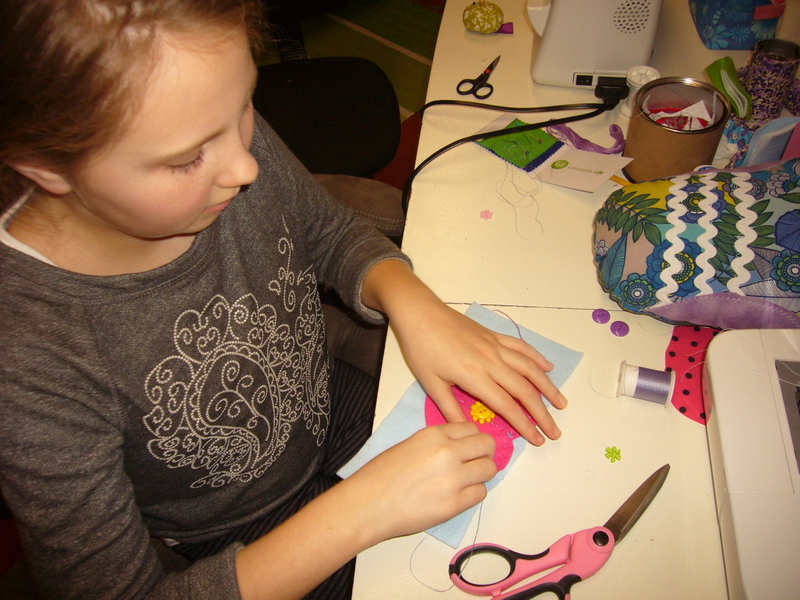 E showed impressive design sense as she intentionally chose which colors to put where, in order to create a cohesive pattern. 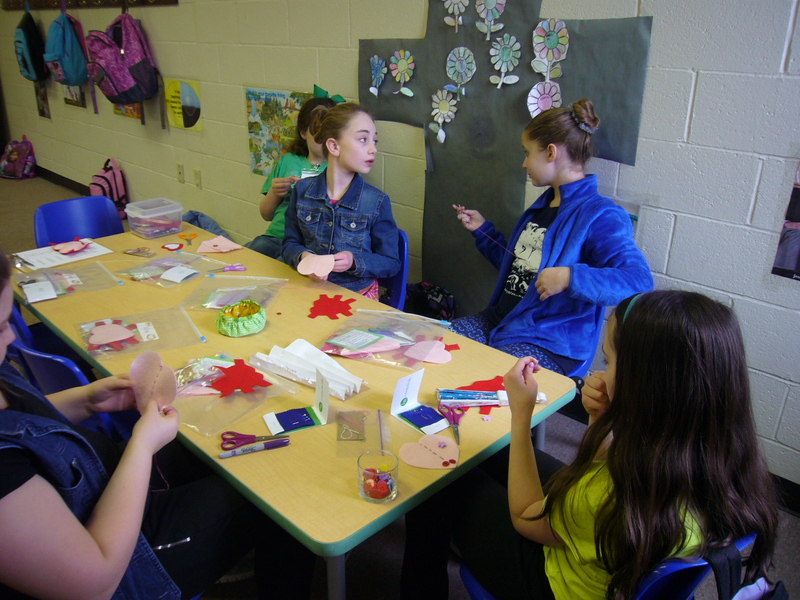 I was privileged to do the love bug activity with a large group of homeschoolers in Huntington, WV, ages 4-11, and they did a fabulous job. I made this hand out so the older ones could practice following written instructions.